What Does Student Council Do? The student council at a school represents the student population and acts as an intermediary between students and faculty. a cabinet of elected officers lead the council and have specific responsibilities in those roles. What Does a Student Council President Do? The president of the student council not only represents all students at the school but also specifically represents the student council as a whole. The president is responsible for coordinating all student council activities and is typically in charge of running student council meetings. Though specific duties can vary from one school to another, the president is usually a nonvoting member of the council; the exception to this is if the council experiences a tie vote and needs the president's vote to break the tie. The president has an active role in the school, representing the student body to the school's administration. The president must also represent the student council to both the administration and to the other students. The president must be ready to answer for or explain the dealings of the student council. What Does a Student Council Vice-President Do? Similarly to the president, the vice-president acts as a representative of both the students and the student council - though to a lesser extent than the president. The vice-president steps in when the president is unavailable to preside over meetings or to meet with other students or faculty. It's common for the vice-president to be assigned to chair committees or run projects. Though they may not lead the student council, they typically have plenty of leadership opportunities and responsibilities. What Does a Student Council Secretary Do? The secretary is responsible for keeping accurate notes (also called "minutes") of student council meetings. It's the secretary's responsibility to ensure other students and faculty have access to these notes so the student council has transparency. Although this is sometimes an additional position in student council all its own, the secretary frequently finds themselves responsible for the dissemination of information on behalf of the council. Maintaining a student council blog, releasing meeting notes to the school newspaper, and any other public affairs responsibilities typically fall upon the secretary unless another position exists specifically for these duties. What Does a Student Council Treasurer Do? The treasurer is in charge of maintaining the student council budget. Fundraising events are managed by the treasurer, who must ensure all funds are used responsibly and in accordance to student council votes and regulations. If there is a budget committee within the student council, it is the treasurer who chairs these meetings - not the president. The treasurer is typically third in line as the chairperson of the entire student council below the president and vice-president, although this can vary from school to school. Otherwise, anything to do with money falls within the realm of the treasurer's responsibility. Not all student council members hold an office position. 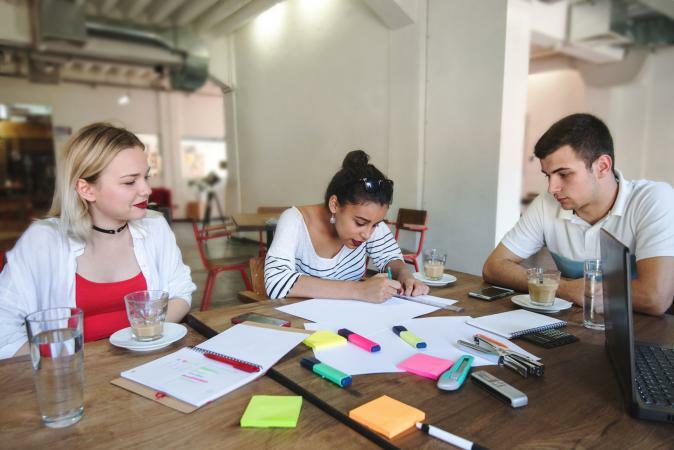 Instead, they act as more direct representatives of the students at large by bringing ideas to the council based on what students want or need. All members are expected to maintain good grades and act as positive influences within the school. Typically, all student council members are voted into their roles based on a school-wide election. Officers are either elected into their roles from the larger election, a council-only election, or by faculty designation. This can vary from school to school. Members of the student council can be removed from their roles at the discretion of the principal and faculty, based on the existing rules. Any student council member who experiences disciplinary action or failing grades will likely be removed from the council.